Oh man, there's so much about this I love. 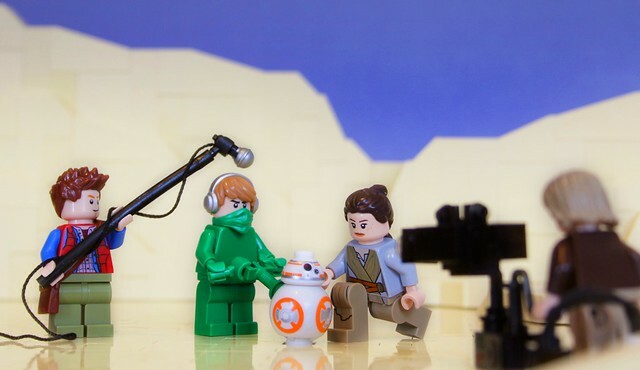 It's Star Wars, so it's instantly got my attention, it's by Pete Reid, my best mate across the pond, and it's behind the scenes, where the real movie magic happens. Here we see one of the secrets of BB-8's endearing performance in The Force Awakens, his puppeteer. I assume it's Brian Herring, but it's hard to tell, he's wearing a mask.